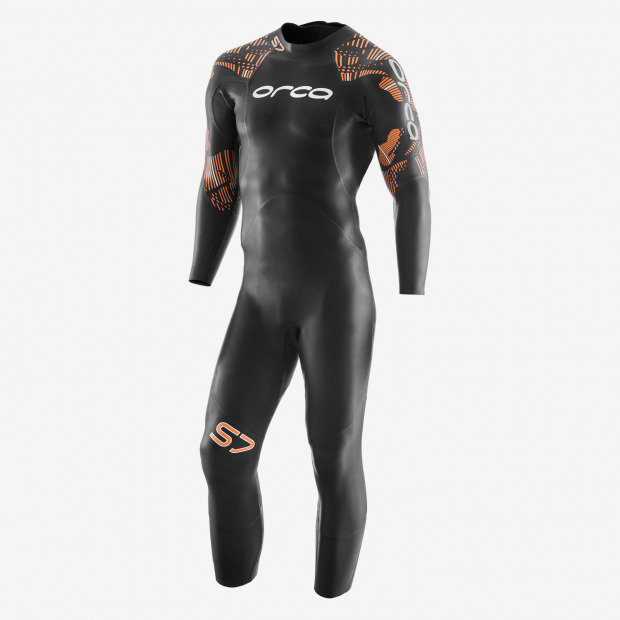 The S6 is Orca's entry level open water swimming wetsuit. Designed with buoyancy in mind the suit has 5mm front panel and the addition of a 5mm lower back panel. Also the thicker material will provide extra warmth for year round open water swims. FLEXIBILITY – the Orca S6 has 2mm underarms to aid flexibility, as this is where you need the most range of movement in the water. BUOYANCY – there are two 5mm front and lower back panels for maximum buoyancy. These panels are coated in cells which are completely water resistant - to make you lighter and faster. COMFORT – by decreasing the thickness of the panels on the arms and legs, Orca have made the S6 comparatively more comfortable than previous models. EASY TRANSITION – because this super smooth suit will not absorb water, removing the suit will be quicker, saving important time and energy.